Retold and illustrated by Jan Brett. The story of Beauty and the Beast has been a classic fairytale favorite for centuries, as popular today as it was long ago. 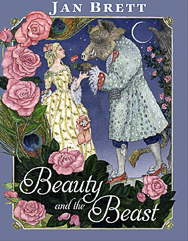 Jan Brett offers a romantic and mysterious view of the struggles between Beauty and the Beast. Beauty must leave home and live in a palace of the Beast to save her father’s life. Meeting the fearsome Beast coming out of the shadows is even more frightening than she expected. The palace is filled with intriguing animal servants who take care of Beauty, and gradually the Beast befriends her as she comes to know him. 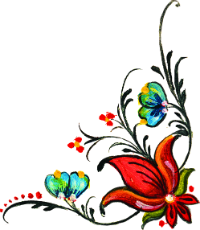 Yet she cannot accept his proposal of marriage because she cannot return his love. Will she break his heart forever? Jan Brett provides a magical dimension to the tale in exquisite tapestries, which offer clues to the outcome of the story’s dilemma. Extraordinary illustrations of the palace rooms and an abundance of roses and wandering peacocks in the palace gardens are enchanting. Readers will marvel at the gorgeous Beauty, and who her ugly suitor really is, as they too are won over by the Beast kindness.